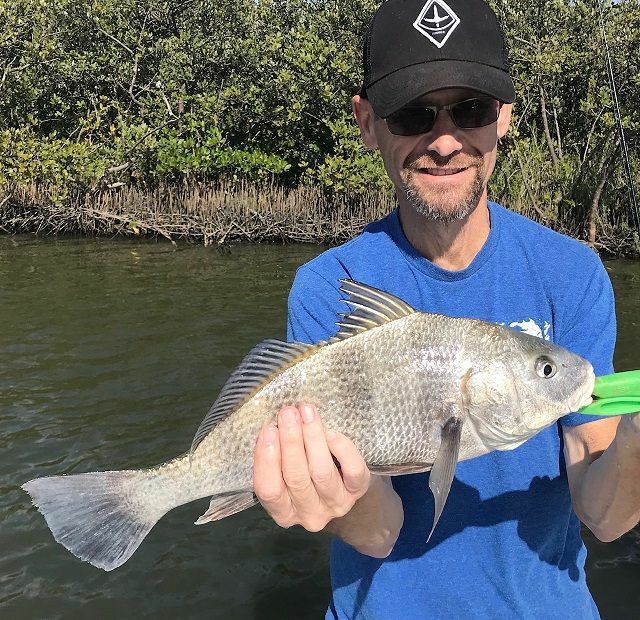 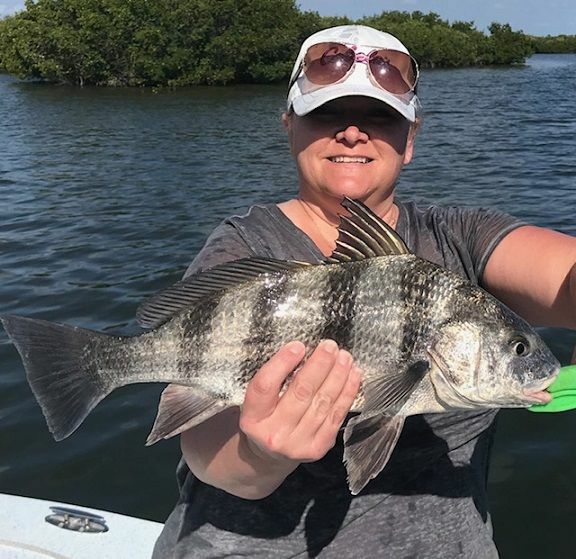 Spring 2019 has arrived to the waters of the Indian River and Mosquito Lagoon here at New Smyrna Beach, water temperatures are up to the 70’s F in the intracoastal waterway and the mid 60’s in the ocean surf line, bait fish are returning the lagoon coming up from the south as the temps rise, coastal migratory game fish also starting to be caught, including Jack Crevalle, Bluefish, Pompano, and Ladyfish, our local resident fish Seatrout, Redfish, Black Drum, Mangrove Snapper are also returning to their normal locations after spending the winter hiding in the cold water spots. 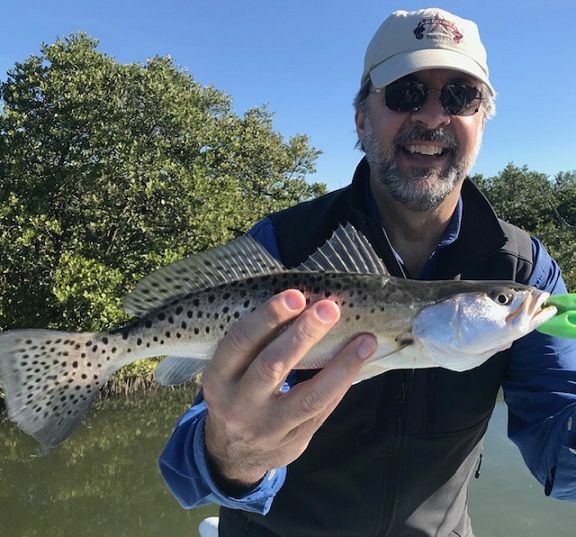 The spring shrimp run is starting with lots of fish focusing on one of their favorite foods the local shrimp. 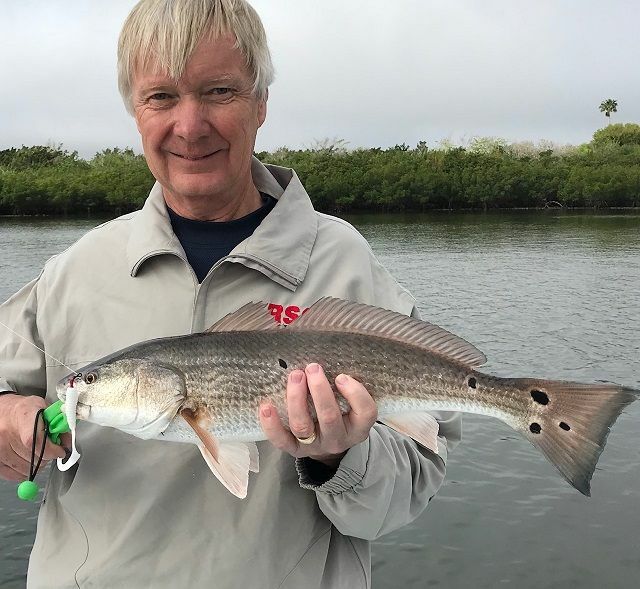 Water is still clear here in the north Lagoon and backcountry so artificial lures and flies are working with good visibility for the fish to see the “fake” baits. 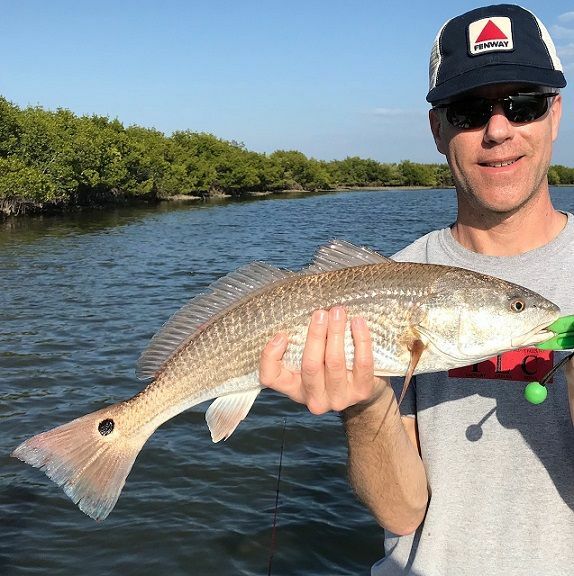 Kris from Maine was out with the family recently with me in the backcountry catching many different species on shrimp, dad got to catch a nice Redfish which we released to grow up and become a larger spawning fish some day………………. 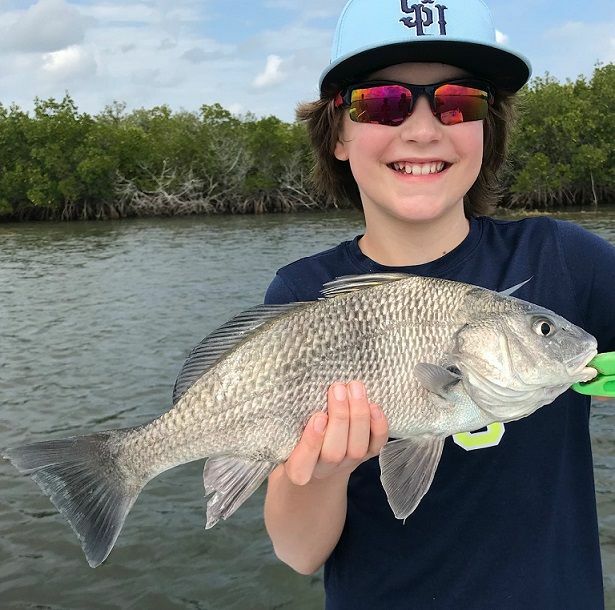 ………….son Liam got to catch and release a good Black Drum at another back waters fishing hole……………. 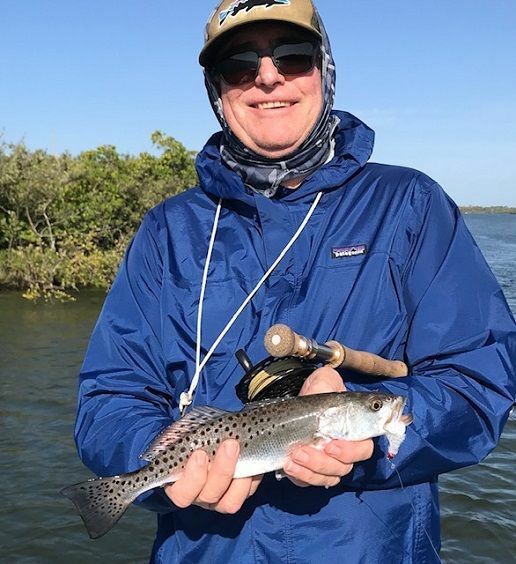 Repeat client fly fisherman Phil from Colorado caught several fish on fly on his recent trip, including school size Spotted Seatrout, fly fishing will continue to be good through the spring months with clear water and even more schooling surface striking game fish arriving in waves on their northward path up the coast…………..